Spinach is a leafy green vegetable that originally came from southwestern Asia and is now grown in most parts of the world. Its leaves, which are broad and smooth and about ten inches long, make one of the most popular, though maligned by children everywhere, of cooked leafy vegetables. Spinach is also used raw in salads. Though Spinach is most often used as a food, it has medicinal value as well. It is well known that Spinach is packed with vitamins and minerals. Spinach is most often associated with iron content, but in reality it has about the same amount of iron as most leafy green vegetables. What sets Spinach apart is its abundance of Calcium. 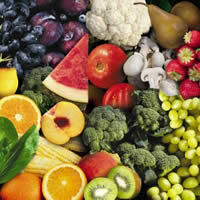 It is also a great source of Vitamin A, Vitamin C, Vitamin K, and folic acid. Spinach is also a good source of Chlorophyll, which is known to aid in digestion. Spinach is also rich in the carotenoids Beta-Carotene and Lutein. It is a good source of the bioflavonoid Quercetin as well, giving Spinach anti-oxidant properties in addition to its many other benefits. Much research has been done on the amazing properties of Spinach. It shows great promise as a cancer reducer, having been shown to slow the growth of stomach cancer and skin cancer cells, and it contains several constituents that have been shown to reduce the likelihood of colon cancer. Spinach is also used to prevent the bone loss associated with osteoporosis and for its anti-inflammatory properties in easing the pain of arthritis. Spinach is good for the heart and circulatory system and has energy-boosting properties. Spinach has also been shown to improve brain function and may reduce age-related cognitive problems. Spinach is truly one of nature's most perfect foods.